I have been on maternity leave for 8 months now, so it's been a while since I styled an office look. 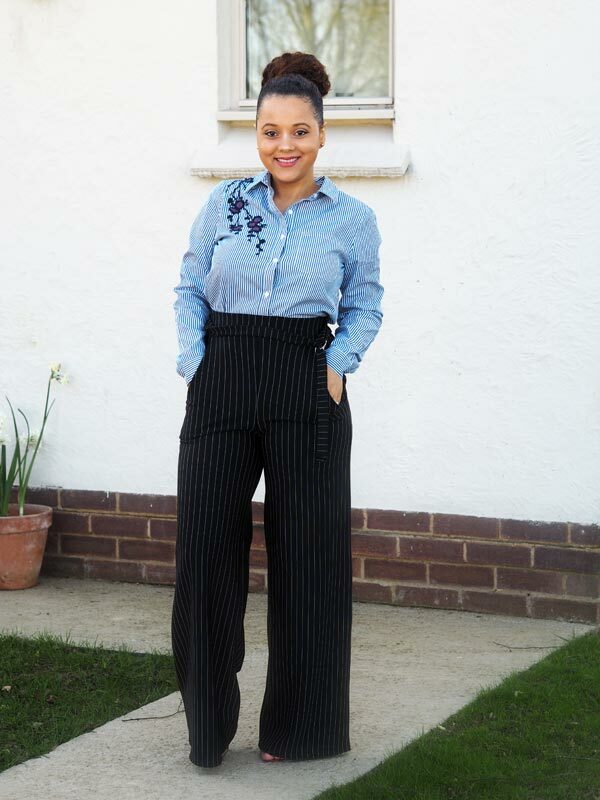 I absolutely love these wide leg trousers. 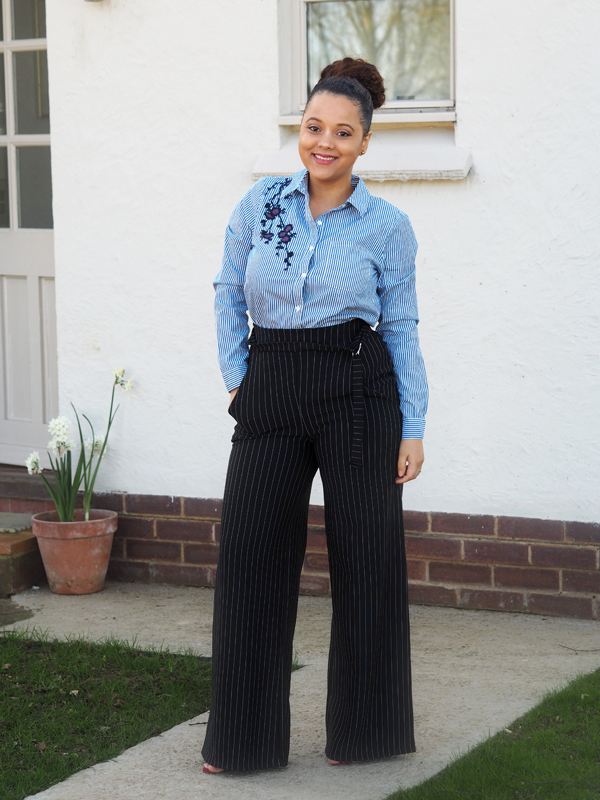 I'm only 5'2 so I normally shy away from wide leg as they can easily make me appear wider than I'am. The secret is to make sure it really cinches you in at the waist! Shirts have come a long way from the typical plain office look. I'm loving the extra floral design of this shirt. I have seen a lot of cute shirts from off the shoulder, crop, added ruffles, I'm definitely going to invest in some for my work summer wardrobe.